Merry Christmas! I spent the last five hours playing with my kids and their new toys, reading directions, being battery god, etc. I had a really nice morning. Don't forget Christmas is a celebration of Jesus' Birthday! 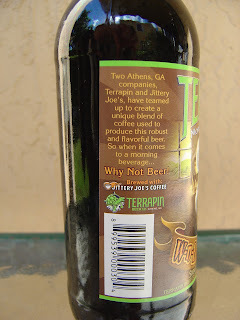 Today I'm drinking Terrapin W-n-B Coffee Oatmeal Imperial Stout brewed by Terrapin Beer Company in Athens, Georgia. There is a story on the side describing how Terrapin and Jittery Joe's teamed up to create this beer. At the end it suggests "Why Not Beer!" Now you could probably logically surmise that's what the W-n-B stands for in the name. Good thinking. But this beer has a nickname: Wake-n-Bake! I don't recall the W-n-B on the label when I reviewed this last year, but I could be wrong. 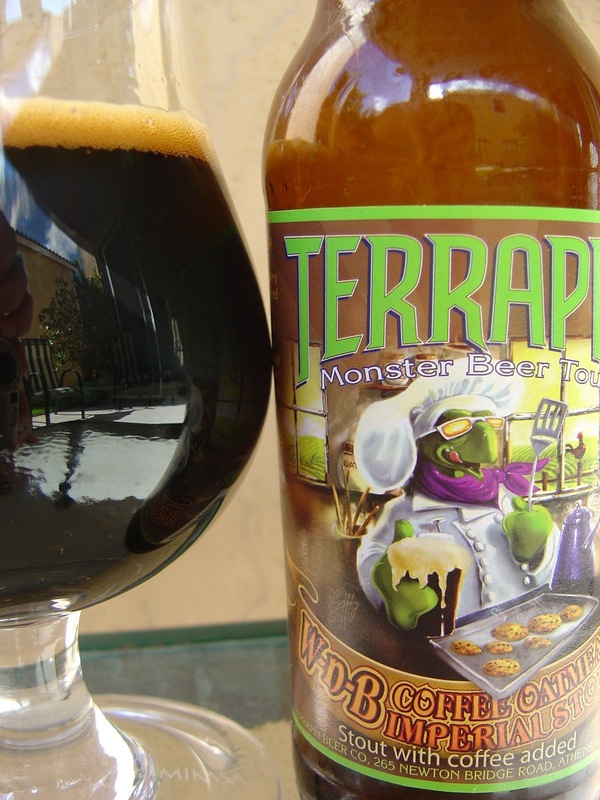 There is a turtle baking cookies on the front and drinking a pint of stout. Seasonal 2010 and part of their Monster Beer Tour. Thick pour, motor oil viscosity. 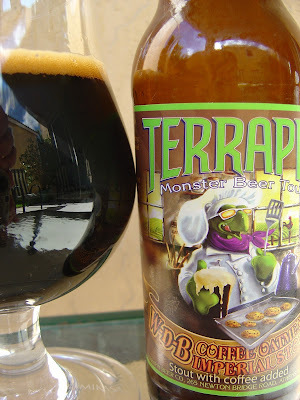 Sweet milk chocolate and toffee aroma, slightly roasted, and excellent! Rich, luscious chocolate flavors right from the beginning, creamy smooth. Slightly roasted coffee action comes next and is a second dominant flavor, working perfectly with the chocolate. There are hints of vanilla and a light warming burn from the 8.1% alcohol. Really nice flavors all around. Great body, low to medium carbonation. Coffee and toffee left behind, and more of that alcohol warmth. Fabulous! Delicious flavors! Try it for sure! Now! Grateful Dead Terrapin Dance Tapestry 60x90"
This sounds great. I wish Terrapin distributed out to MN. I've heard they produce some tasty brews. Yeah, Steve. 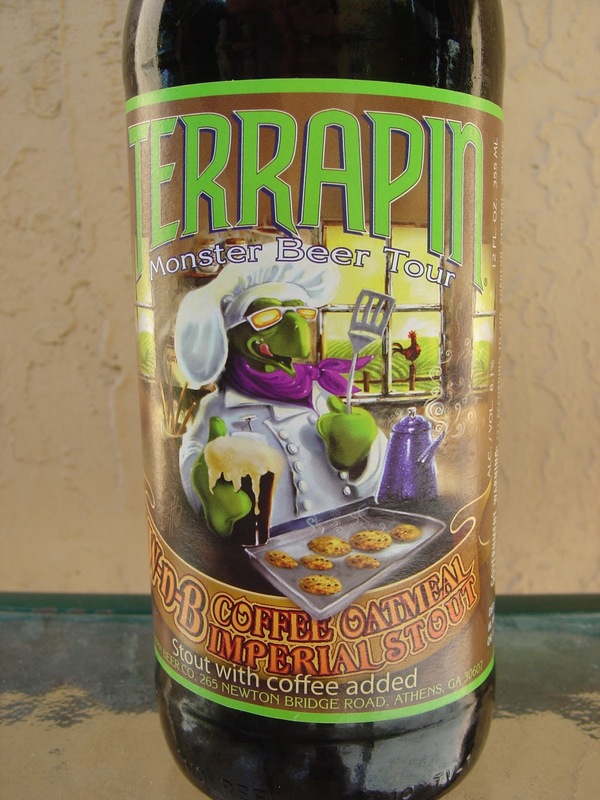 Terrapin has some good stuff. Merry Christmas to you too! You gotta stop reviewing Terrapin. Can't get it here in New England! making me jealous.